We are serving 7 days a week. Lunch and Dinner 11am – 11pm. For catering service, please give us a call at 415.829.2960 during our business hours or email us. Our staff will be happy to assist you with all your needs. We also offer take out and delivery for both lunch and dinner. To ensure timely delivery, our delivery range is within 2 miles from the restaurant. 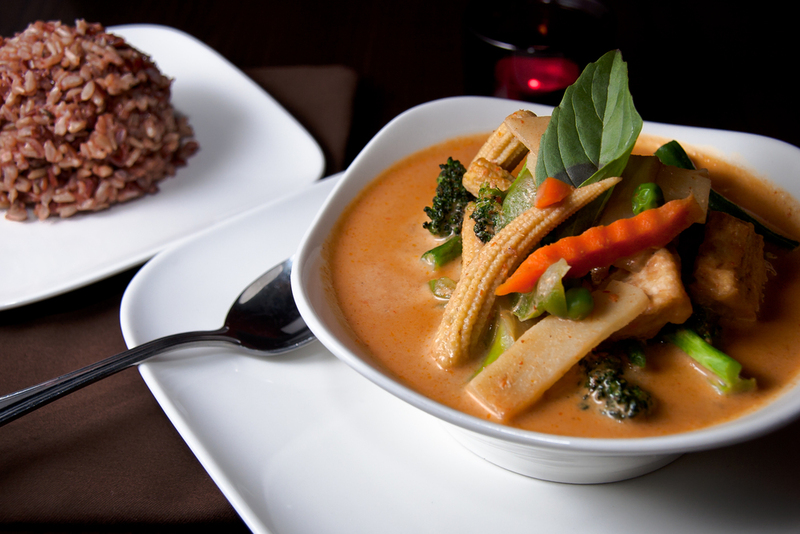 Conveniently located in the heart of the Mission District, ChiliChaCha2 serves authentic Thai recipes from different parts of Thailand using the freshest ingredients available. We cater our menu to your taste, creating each homemade dish from scratch. Contemporary Thai dishes, Seafood Specialties and Vegetarian menus, all dishes are made fresh to order and can be customized to your needs. Come and dine in with us in relaxed atmosphere, enjoy our food and a selection of beers and wines. At ChiliChaCha2, everyone is welcome. We are the best to serve you and are very glad to be a part of the neighborhood.